For my watercolor illustrations, I use two different types of watercolors: Winsor & Newton Cotman Tubes and Prang Semi-Moist Pans . Both have worked really well for me, and always get nice bright, pure pigment on the page. 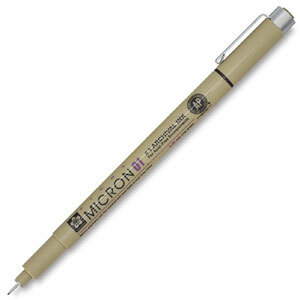 Then, when I want to do outlining, I always reach for Sakura Pigma Micron Pens in size 005(smallest), 01, or 03, depending on what line thickness I want. All three of those are pretty slim, though. I like this ink because it doesn't bleed much and won't smear or run if I watercolor over the lines. My favorite brand of punches is EK Success Paper Shapers . They seem to be a lot more heavy duty than any other brand I've tried! I've had real poor luck with Marvy Uchida and avoid that brand when possible! I'd go out of my way to buy EK Success Paper Shapers punches over any other. 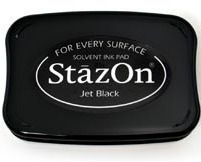 For stamping images that I'm going to be coloring with watercolors, I LOVE StazOn . It's like the Sharpie Marker of inkpads. 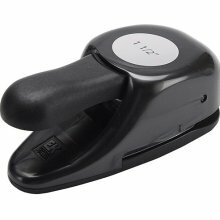 It will stamp on plastics, metal, wood, fabric, paper, you name it. Dries real quick and is permanent (won't run or smear when I'm watercoloring). I would definitely suggest getting a bottle of StazOn All-Purpose Cleaner , though, as this ink can stain your stamps. 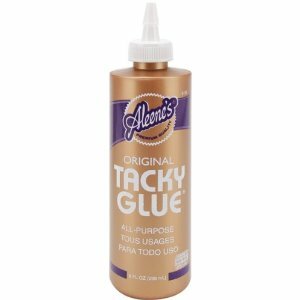 Aleene's Original Tacky Glue is my go-to glue. I use it for ALL sorts of stuff!!! I especially like to use it for shrines and assemblages. It dries pretty clear and holds nicely. 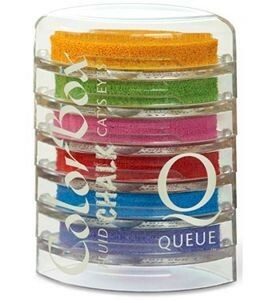 To ink the edges of my papercrafts, I like using ColorBox Cat's Eye Queues in either pigment or chalk ink. I like these stacks, because they're easy to maneuver and you get lots of colors for your buck. The chalk inks dry out a little quicker than the pigment inks, though. I have really grown to like my Zutter Bind-It-All , though we haven't always gotten along :) It can bind a variety of different sizes and has some serious heavy duty punching ability. I've punched real thick fabric-covered bookboard with no problem. My only gripe is that it's hard to find a good place to put your other hand to hold it down and that can result in some mad pinching.